It is known that mussels may have properties that help to fight against sea lice, and new research has indicated just how effective the molluscs can be, consuming up to 70% of the parasites in tests. "It's not a new idea in itself, but something that has appeared from time to time. Our new experiment, however, strengthened belief one can use mussels to fight salmon lice," said Lars Christian Gansel from the Norwegian University of Science and Technology (NTNU). 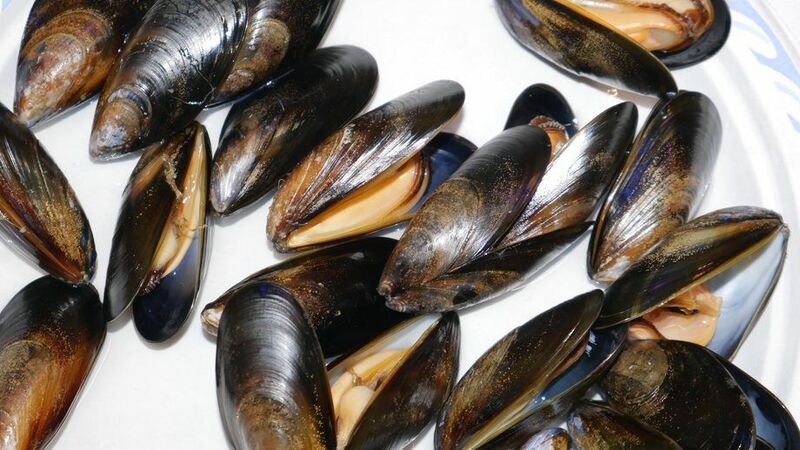 Through the LiceFilter project which NTNU has carried out in collaboration with the University of New Hampshire in the US, researchers have found new indications that the mussels can work against salmon lice. Gansel, an associate professor in the Department of Biological Sciences at NTNU in Ålesund, told fishfarmingexpert's sister website, kyst.no: "Before we started the project, we went through what has been done on mussels, and found that the mollusc's filtering ability is heavily researched, but there's little specifically on salmon lice in farming." 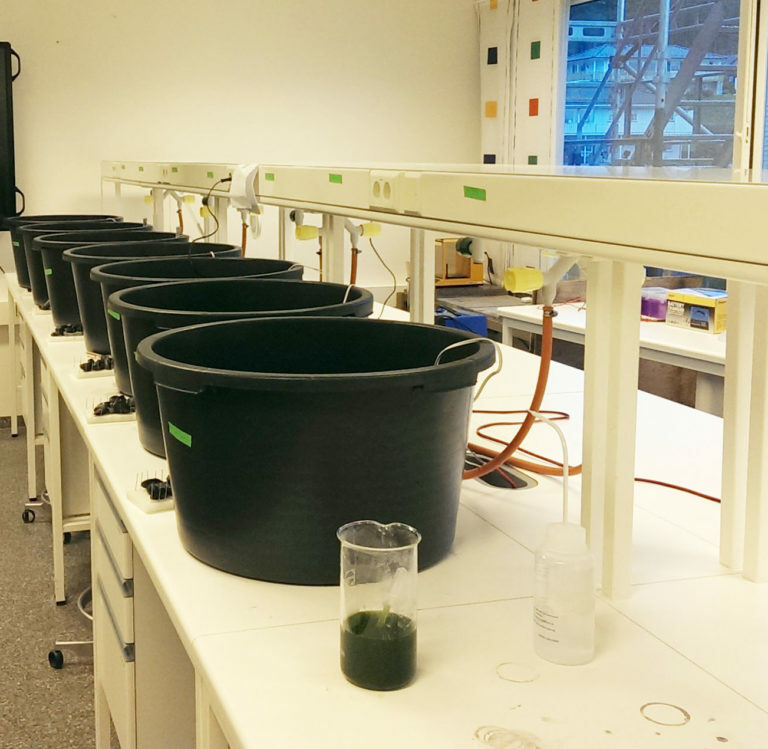 The scientists therefore started up a small project with laboratory experiments to see how the mussels behaved in relation to sea lice in the larval nauplius stage. "We did it systematically and ran about 30 container experiments in the lab. We filtered and cleaned all the water so that there were no lice in it from the start, and used a system to change the environmental parameters such as current, temperature, supply of food etc. "We had round containers with pipes in the middle so we got a circular water flow, put the mussels in, and set different parameters in normal daylight and in the dark. Then we added 50 larvae into these tubs, and the mussels began to eat. In half an hour, about half of the larvae were eaten under most conditions, and, according to what we see, no variation in environmental parameters has an effect, even though there was some variation between individual tests. On average, the mussels ate approximately 50% of the larvae." 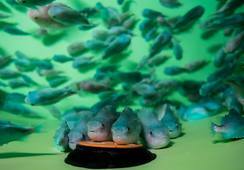 After the promising results in the lab, they took the experiment to a sea cage. "In the field we had larger, closed containers, and collected saltwater from the cage, and used double amounts of mussels and water. These trials were even more effective against lice. The experiments carried out here show that the mussels ate up to 70% of the larvae, so our conclusion is that there is a great potential for mussels such as lice weapons, either for individual farms or to help balance the ecosystem relative to the amount of sea lice," said Gansel. The scientists have therefore strengthened their belief in mussels after successful trials, and also see interest within the salmon farming industry. 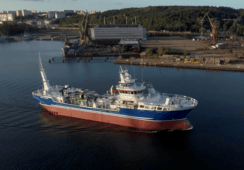 "Among other things, Salmar, in cooperation with whom we operate an R&D licence, are very interested in this. They actually came up with a similar idea, and want to test it out on a larger scale," said Gansel. 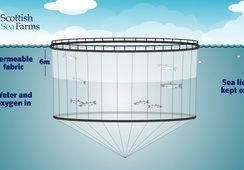 The tests done on the cage and in the lab, will eventually be followed up with commercial trials in open systems, as soon as the researchers have the financing in place. 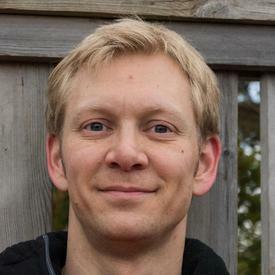 "We have several ideas around how we are going to set up the experiment in practice," said Gansel. "The aim is to put in place an ecosystem service." 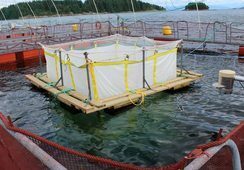 "In purely practical terms, we may be able to remove a portion of sea lice in the larval stages that can attach themselves to salmon before they reach the cages, or take out a portion of nauplii originating in cages. Possibly you can attract the lice in some way. "We must consider the location of the mussels in relation to the current, and perhaps look at the combination of different methods against the lice. 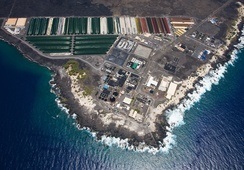 If there are a lot of mussels, the tests may end up being commercial mussel farms." How big the project eventually becomes depends on money. The reason why the research was conducted with the University of New Hampshire was that NTNU wanted to collaborate with them over time and connect. "They also have a concession to run integrated aquaculture with kelp, mussels and trout that is going well. We both have mussels in the waters and both can benefit from the research," said Gansel.